Then again, considering his character Jorah Mormont was saved from an excruciating death by greyscale, any alternative ending would probably seem pretty dope. Speaking to The Indian Express, the fella who has played Daenerys Targaryen’s (Emilia Clarke) most devoted servant said “when I read it, I thought it was rather brilliant. “I am a bit of a fan of the series as well, and it satiated my expectation and hopes,” he added, but noted that not everyone will be pleased with how the endeavour wraps up. “All I can say is that we will be doing what we have done before and the writers have written great episodes. They have had a great strike rate up to now and I am sure that will continue,” Glen said. 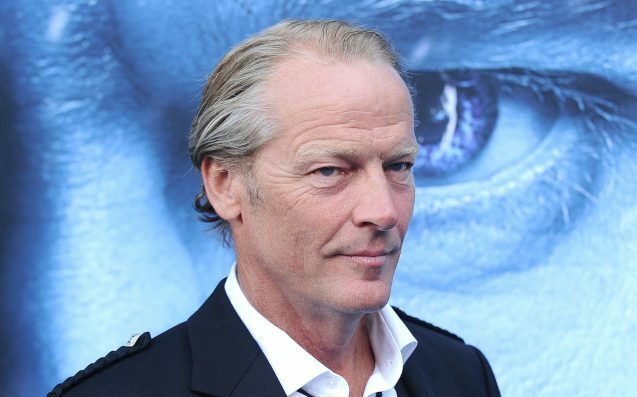 As far as how the show will pan out, Glen didn’t give a huge amount of information; in an earlier interview with India Today, he mentioned that in the “last season, Ser Jorah will happily become a permanent fixture in Daenerys Targaryen’s inner circle”. Based on how you think Dany will fare, that leaves us with several options: either he’ll serve her as she takes the throne, or will become one more body for the pile as her efforts crumbles. Or, maybe she’ll win, and he’ll still die. Basically, Glen knows, and we don’t, and we’re mad about it. Game Of Thrones‘ final season will arrive in 2019.